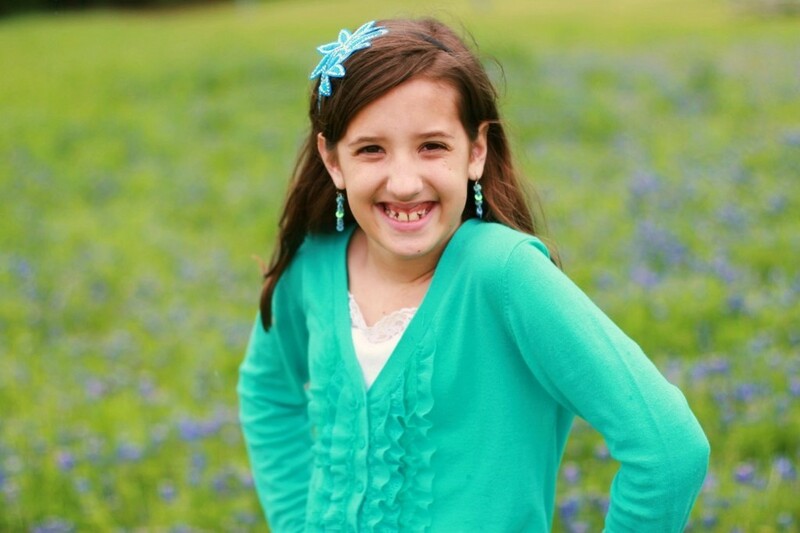 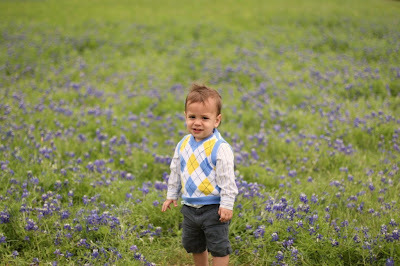 On Sunday, right after church, we headed over to a nearby bluebonnet spot for some pictures. 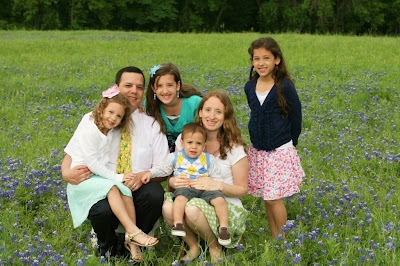 It started to sprinkle, the ground was a little muddy, the kids were complaining, but heck, we did it anyways! 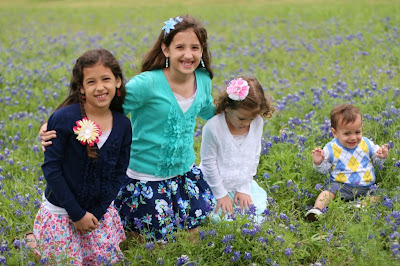 I bought the girls new little spring skirts and cardigans and we were getting pictures gosh darnit! 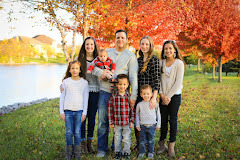 As we were leaving another family we know happened to arrive and offered to take a family pic for us(and Joey did the same for them) So we even got a family shot too! I wish I had known I was going to be in the picture.. 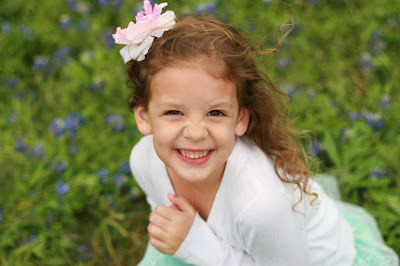 I would've made myself look a little better with a little retouching of makeup and fixing my hair! :) Oh well, its me. 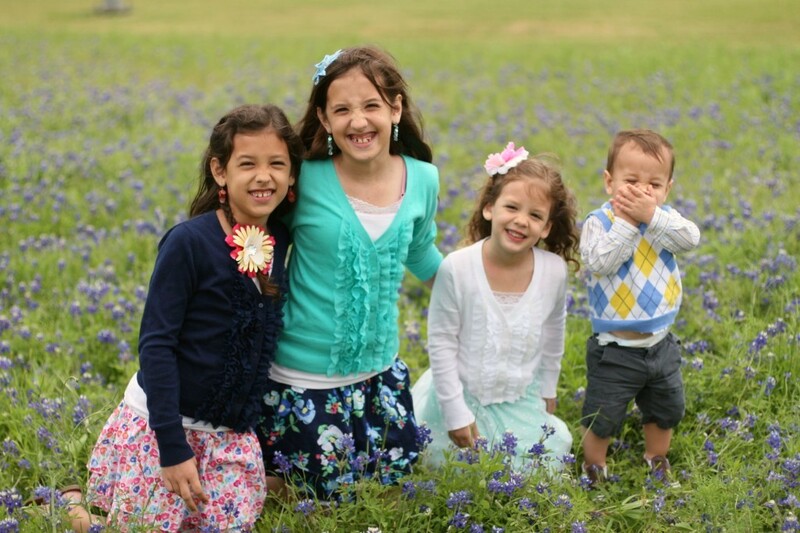 I need to deal with it! 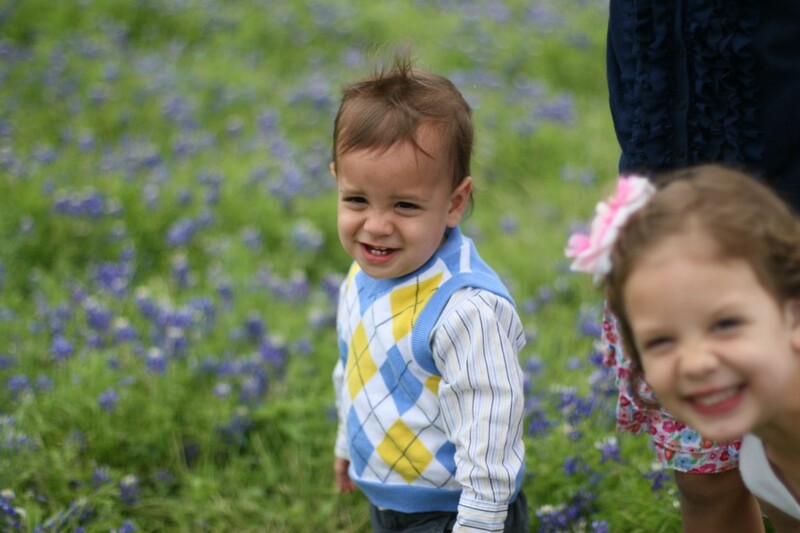 Enjoy these cute and hilarious(Ammon is a riot!) 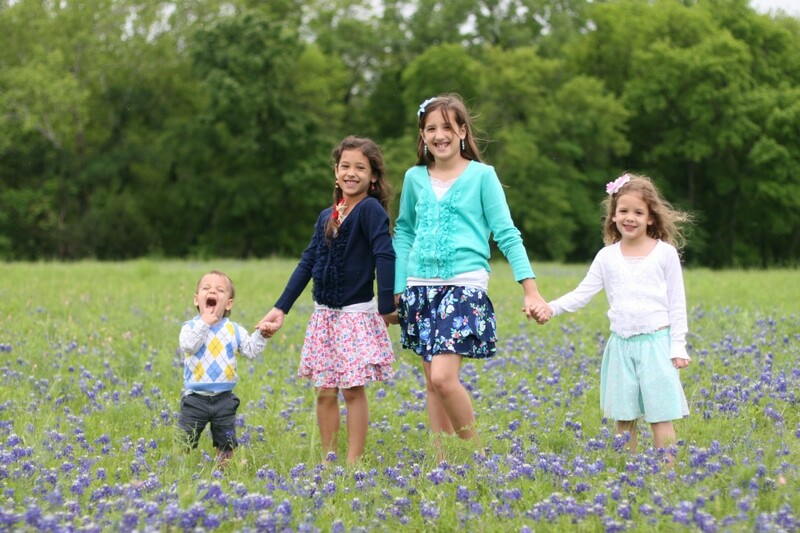 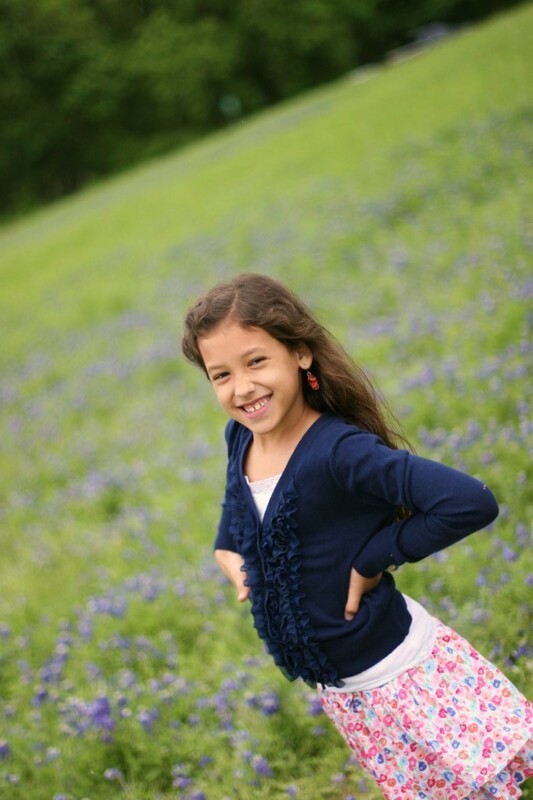 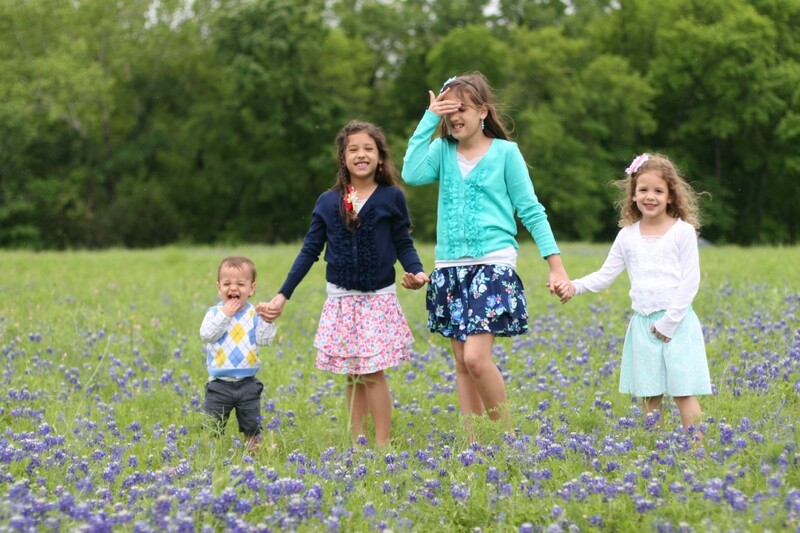 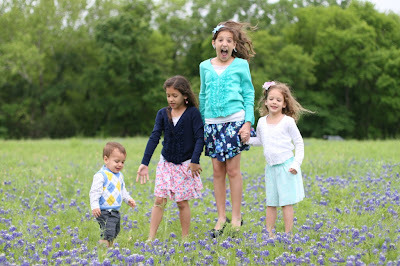 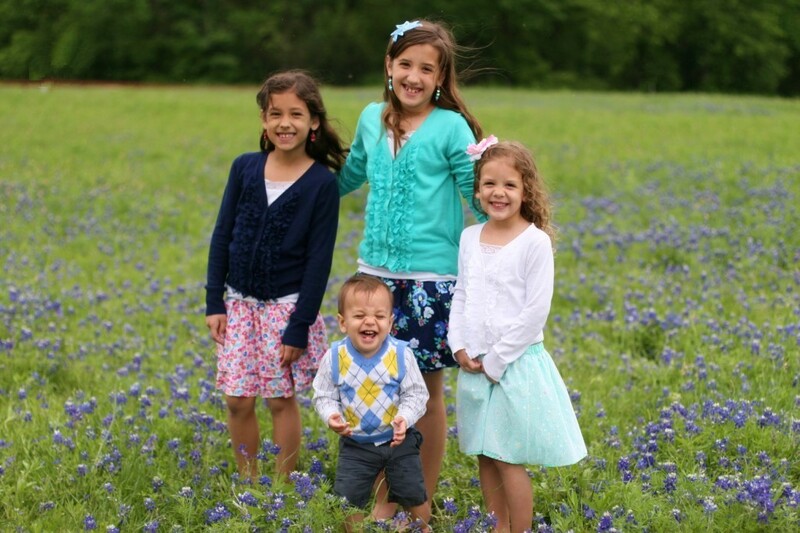 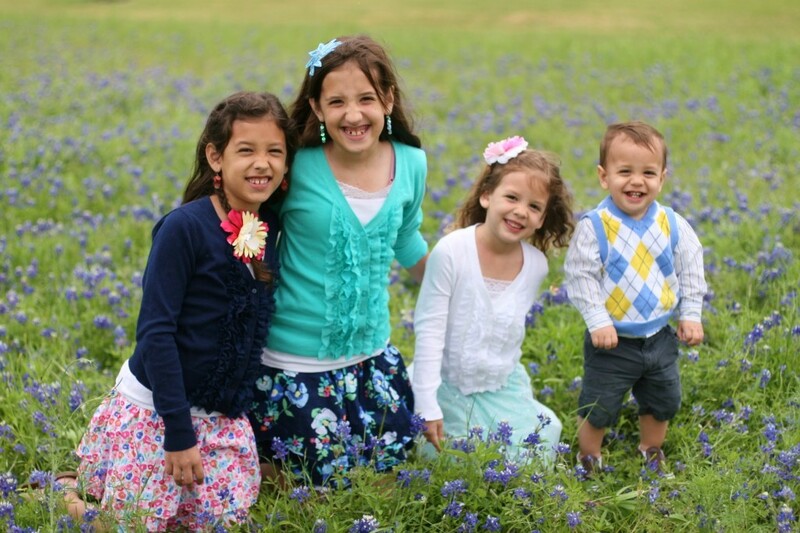 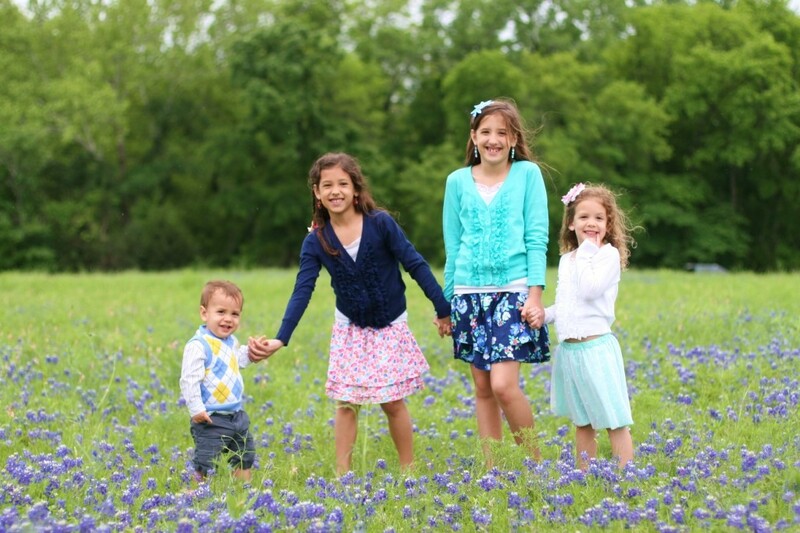 pictures of our cute kiddos in the bluebonnets...Happy Spring!! Such adorable pictures. 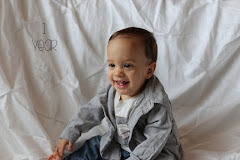 Ammon is such a lil ham!!! 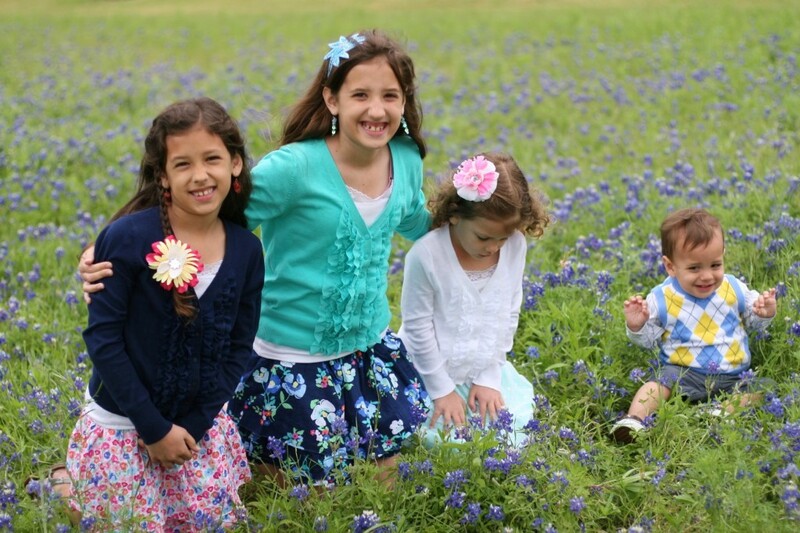 The girls are beautiful as ever. Cute pictures! 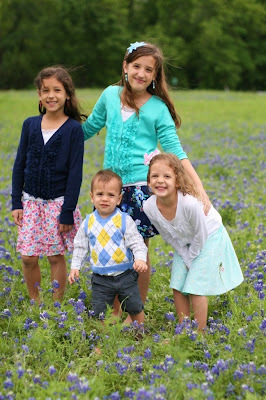 I love your kids outfits.